You’ll never believe how easy it is to make applesauce at home using just 2 ingredients and the slow cooker! 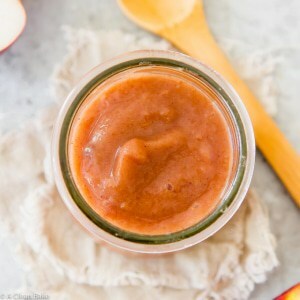 This sweet and smooth applesauce will blow any of the store bought stuff out of the water. All you need is a few minutes of prep, the perfect apples, and a pinch of cinnamon. Let the slow cooker do the rest! No, I don’t own stock in apple orchards. I’m just having a major apple moment, but this is the last apple recipe for awhile, I swear. Granted, it’s not as exciting as candy-covered candy, but it might be just the sweet reprieve you need from the Halloween leftovers. 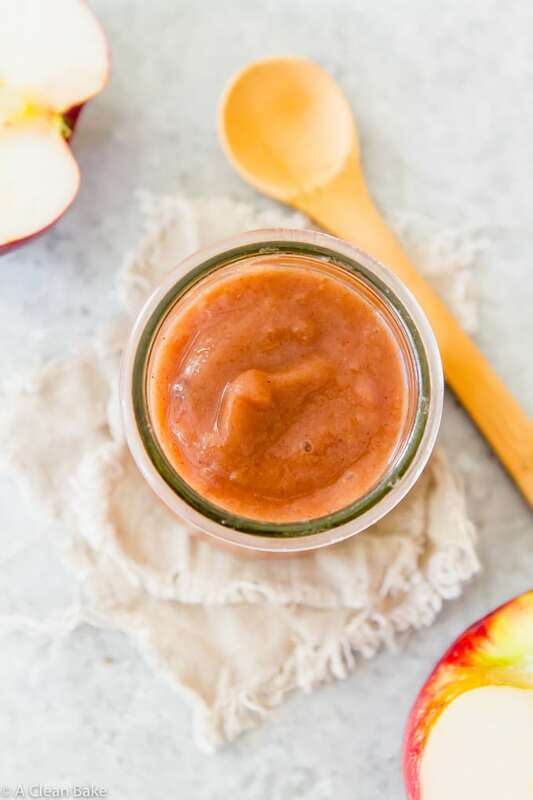 What I mean to say is that if you’re trying to wean your sweet tooth off of the hard stuff, try this homemade apple sauce. Cook them for awhile in your slow cooker. That’s it. Oh, you can puree it with a stick blender, if you want to. But the advantage of slow cooking is that the crockpot produces a texture so tender that you can mash it pretty well with the back of a fork for a more textured sauce. You’d think there was added sugar in this recipe. Seriously. But you’d be wrong. The trick is to use mildly tart apples for this recipe. I used a mix of cortlandt and fuji, but you can use whatever you prefer. This is a handy reference for picking out apples. 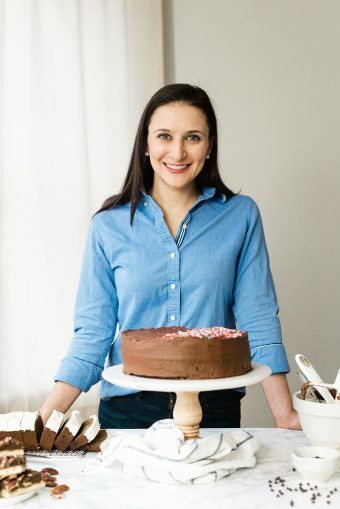 The key is to avoid all super sweet or all (more) tart – i.e. don’t use all granny smith, unless you like that sort of thing. Think of it this way: you want plenty of natural sweetness to make every bite of this applesauce just sweet enough to want a little more, but a little tartness in the apple balances the sweetness and helps avoid the dreaded one-dimensional, cloying sweetness that a lot of packaged applesauce tends to have. Once you pick the perfect apples and slow cook them down, concentrating the flavors and natural sugars in the fruit, you’re left with a perfectly sweet flavor that needs nothing but a pinch of cinnamon to round it out. 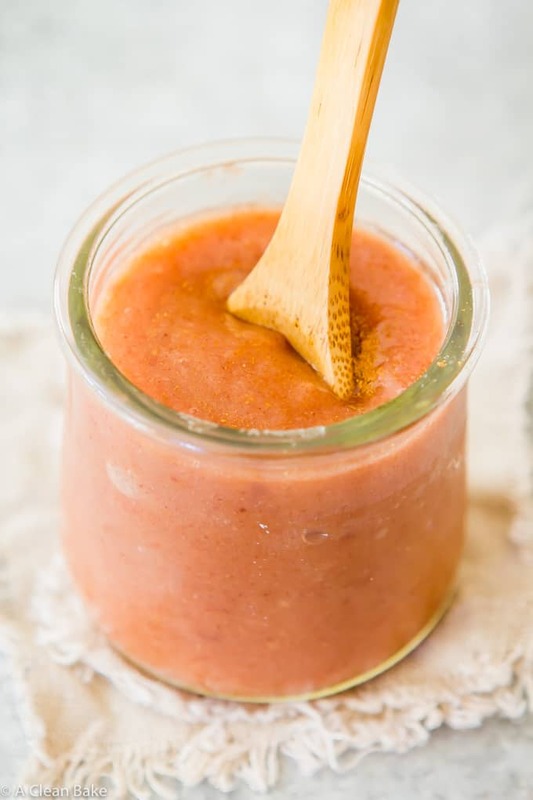 This sweet and smooth applesauce will blow any of the store bought stuff out of the water. All you need is a few minutes of prep, the perfect apples, and a pinch of cinnamon. Let the slow cooker do the rest! Add the apples and cinnamon to the bowl of a slow cooker. Cook on high 4 hours, or on low 6-8 hours. Stir, and gently mash with the back of a fork or a potato masher until chunky. 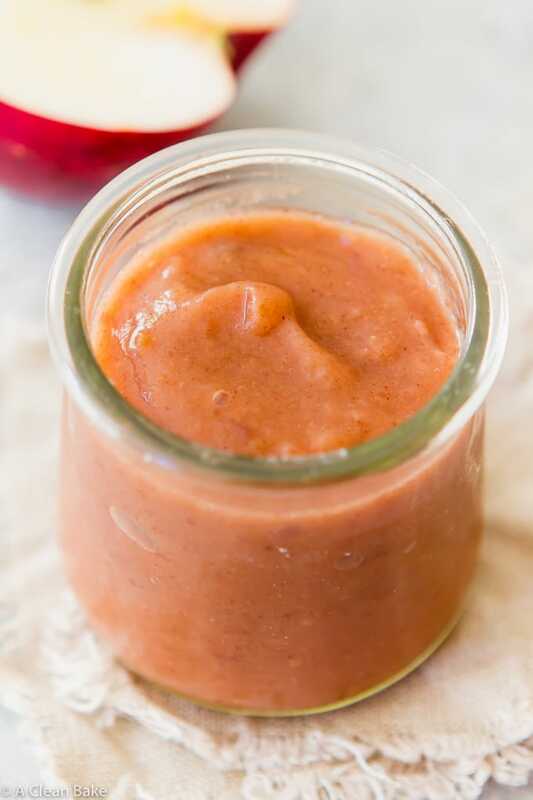 For smoother sauce, puree half or all of the applesauce. If you plan to puree it, there is no need to peel the apples. A mildly tart apple works well for this sauce. I tried it with both honeycrisp and cortland apples. I think the cortland apples worked best.